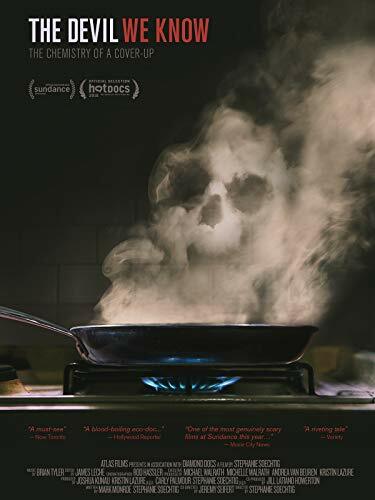 ALGA is hosting a screening of the US documentary ‘The Devil We Know’ that investigates the scandal and cover-ups surrounding many US Teflon manufacturers. The film tells the story of how one synthetic chemical, used to make Teflon products, contaminated a West Virginia community and the broader problems affecting nearly all Americans exposed to non-stick chemicals. The film has been championed by many including well known documentary filmmaker Morgan Spurlock. Enjoy this exclusive event with your colleagues and friends on Tuesday 30th April at 5:00 pm for 5:15 pm start. Join us afterwards for networking kindly being sponsored by Enviropacific. Please note: Registration opens at 5:00pm and the Movie begins at 5:15pm, there are no advertisements so please don’t be late! If you would like the opportunity to sponsor the post-movie networking or if your have any questions please email Tarsha direct.